“the major, like allegory, instrumentalizes. [..] Seeking the lowest common denominator, which is often found in either spectacle, topicality, or use value, it continually asks what art can do, as opposed to what it is or can be, which it almost always takes for granted” . The reality is specific. The art world is composed of people: artists, audiences, and other agents. Reference systems and policies are language, voices, that come through our own words and mold our thinking, perceptions and emotions. Some sort of voice or rhetoric “often” resonates the value with leaflets, FB posts and information panels. People require and expect translations. In reality, the institutions are made of people, and policies are drafted by (mostly) passionate art-loving and practicing people. On deeper level, there is no contradiction between groups of agents, and there is a “common interest” overarching the whole “art field” including practitioners, insiders-politicians, producers and organizers. Making a separation between information and the field of reality can be a methodology. What if we read through/behind buzz-wordy statements that claim the use value of the arts sector and rather locate people, human beings separately. What if we reshuffle and deflate the focuses on “public art” and “place-based art”. The point is – isolate the language and ask – who is speaking, or – where does it come from, “whose” voice is it, what process is behind? Cutting through the icing of the cake when dealing with language as text, information, words, is not idealistic but practical. Being in the shoes of a producer of information and translations, I find it interesting and fair that the speaker identifies themselves, or maybe manifests their absence. Authorization is transformed into communication between agents. Paul O’Neill and Claire Doherty (eds. ), Locating the Producers: Durational Approaches to Public Art (Amsterdam: Valiz, 2011). Chris Sharp, Theory of the Minor, Mousse Magazine, 57, 2017. Fragment of Field Theory’s installation Bunker. The photo taken by author of this blog on 7 July 2017 upon visiting the opening of the exhibition Greater Together at ACCA. In The Mimesis of Thinking, Boris Groys described two situations: an autonomous artist’s freedom through expression (yet within the systems of market and institutions) and an autonomous artist’s work as a system producer . Today both of these situations mostly operate through market or institutional mechanisms. Are we even able to think art outside set formats of distribution and “product” value, without disbelief? Of course, artists will always think independently and their autonomy is an a-priori condition of being an artist. But if systemic (external) impact on art is unavoidable and art’s autonomy is always relative: how is then autonomy addressed? In that same article Groys mentioned humour – understanding of the finite conditions in which artist operates in comparison with utopian project-oriented production modes of modern bureaucratic systems. Groys therefore identified humour in minimalism and other formal movements that grew out of systems thinking . Empathy, in addition to humour, can be seen as another approach – outside of purely representational art making. 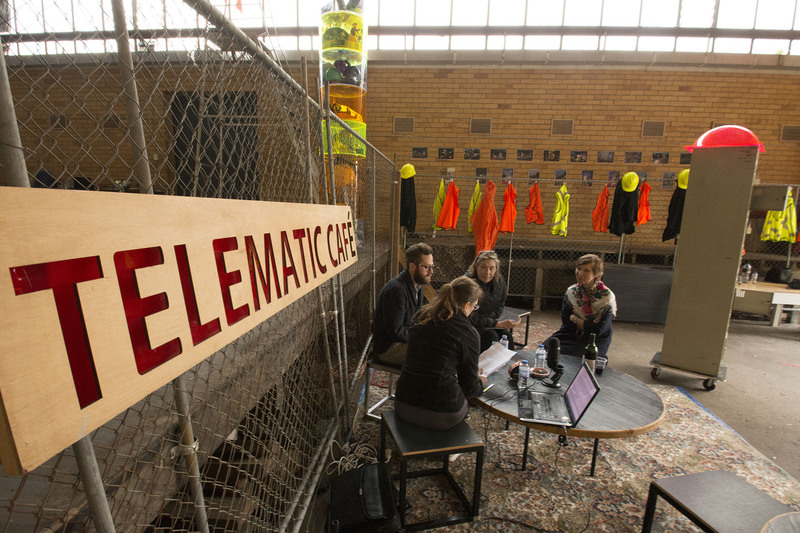 Some artists develop what could be described as “empathetic bureaucracies”: they crowd-source data for creative work through a process of personal attention to each contributor. One example is Bridget Nicholson’s long-time project of shoes that she sourced in various events by wrapping people’s feet in clay. Humour seems to be a good tool – a way to look at consumption value of art. Many artists have taken up commercial strategies. It feels that entering the market directly as the field of practice is a way to face economic relationships shaped by neoliberalism. Technological art also appears to provide a field for criticism – if it makes itself autonomous from the Silicon Valley inspired dreams of the fusion of creativity, tech and business. Self-supportive and possibly rebellious collectives and networks, in which the curatorial role of distribution becomes dissolved, is a convincing format of autonomy, but problematic. Firstly – how to produce and survive? Secondly, what are the methods of organisation? Geert Lovink drew attention to techniques for art’s autonomous organisation in the age of “social media.” He asked – “is there enough time to organize the grassroots in the age of Instagram, Snapchat and Facebook live?” . For Lovink, social media is “weak ties” but autonomous organisation requires productive (and most likely, off-line) space and time. The long-time internet critic was right – the dream of social media is over: it now seems that social media most efficiently works for marketing and mass media. Boris Groys, “The Mimesis of Thinking”, in Open Systems: Rethinking Art c.1970 (exhibition catalogue), edited by Donna De Salvo, Tate, 2005. 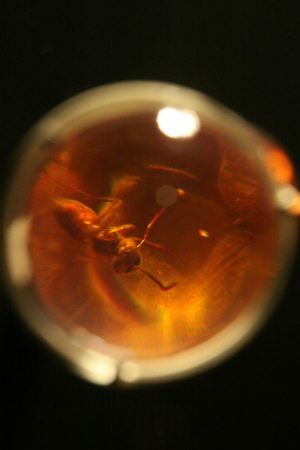 Ant in Amber (under magnifying glass), Sam Noble Museum. Photo credit: fine_plan. Creative Commons licensed. Sourced from Flickr. I would like to pick up from the previous post, especially with regards to the importance of waiting areas preceding the experience considered as strictly “art experience.” Whether we are reading labels or instructions there is no reason to differentiate and leave outside the “art experience” any elements, any modes of communication and constitution of exhibition. Perhaps such split of the wholeness of “experience” is not only unnecessary but also impossible. All associated activities and communications – such intense social acts as opening and closing drinks, could be measured within the framework of “paths” that constitute an exhibition experience. Even if one is encountering that experience as mediated by personal media, in a real-world situation. It is like we are seeing our bodies moving through the space and with this feeling of distance our condition is similar to that of the entanglement of ants in amber. Then, the question is – how does this awareness change exhibition making? Such view of curatorial methodology has been exercised in relation to museums. As Terry Smith has pointed out in his analysis of contemporary curatorial thought and types of exhibitions, the experience of museum architecture constitutes the event of exhibition. The most eminent case is of course Guggenheim Museum in Bilbao. If architecture manifests as exhibition, what other things should be counted into the constellation of exhibition experience? Because museological perspective is naturally focused on the figure of viewer, the formulation of “exhibition anthropology” could emerge. Erkki Huhtamo has insisted on exactly this approach considering structural, ongoing and variable (viewer-related) constituents that are present to shape the experience. 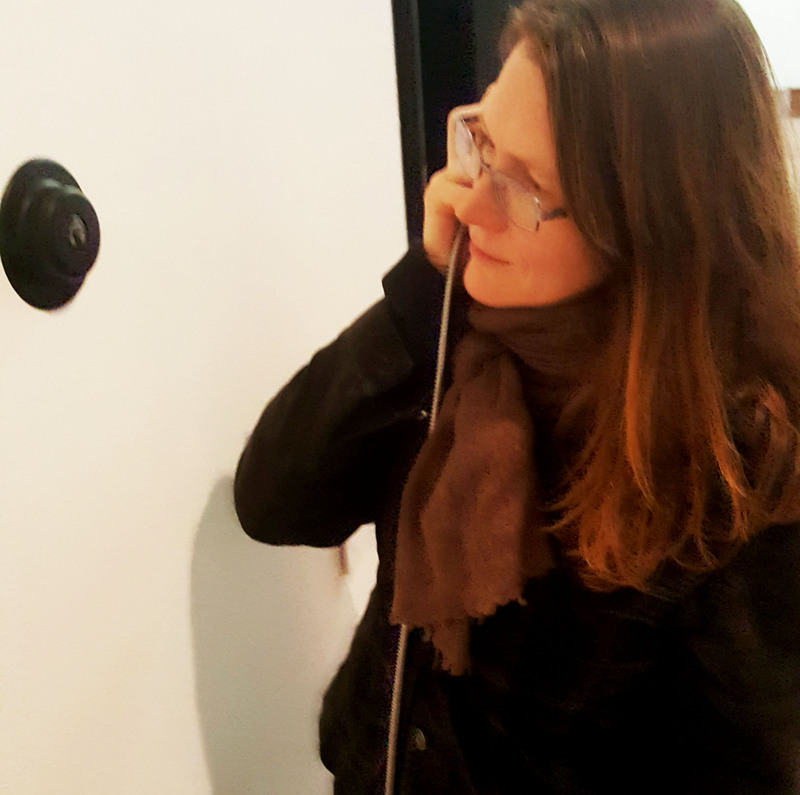 To explain the exhibition anthropology approach which comes hand in hand with close observations, Huhtamo has noted: “The approach should not be conceived of as purely empirical, focused on case-by-case analysis. My basic idea is to treat the museum as a kind of experience apparatus – a combination of material features, social roles, and institutional practices and policies that provide a framework for visitors’ experiences.”  The continuation of this thought is particularly interesting: “Understood as an apparatus, the museum is a system of anticipations and regulations visitors are supposed to follow. One of its functions is to analyze potential deviations from its norms (including transgressive actions).”  It is perhaps through these “transgressive actions” that we can detect the workings of exhibition apparatus and generate experiences specific to a particular moment. In 2015, I curated an exhibition in George Paton Gallery (Melbourne) that I started with a vision of a cafe as an implant into the gallery room – a different kind of exhibition context, enabling the space of communication, and sympathetic in relation to busy eateries and cafes on the ground floor. By the end of this project I had witnessed that the gallery walls were not, metaphorically speaking, a blank canvas – they contained the social relations of the art establishment. This gallery-cafe was perceived through the experiences of individual visitors depending on the interplay of their interpretation and memory or knowledge of this gallery as a space to come to see art exhibitions. The notion of museum as experience apparatus aligns with Gilles Deleuze’s assemblage theory. The metaphor of ants in amber, a view of the whole, including ourselves within the entanglement of all elements, serves well in relation to the materialist social ontology, from which the concept of assemblage extends. 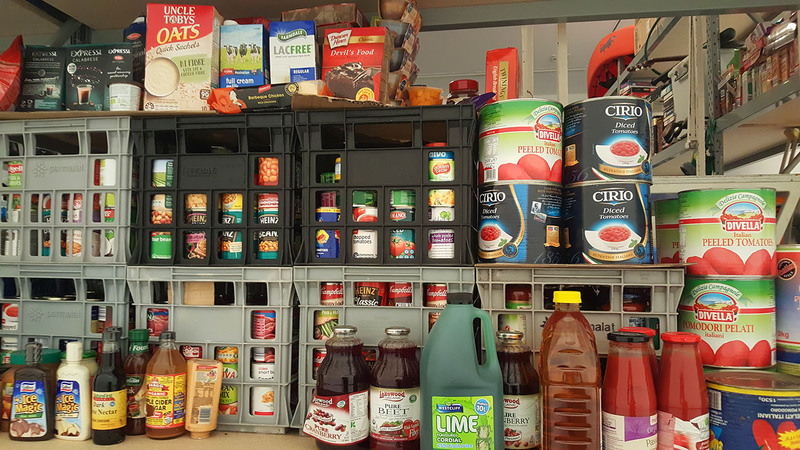 As Manuel DeLanda notes – “our minds need to be there”, but social ontology, “is independent of the contents of our minds” . In Deleuze’s concept of assemblage, each part stands in active relation to others, whereby the emergent properties of the whole cannot be reduced to its parts: a horse, warrior and weapon is an example of assemblage – “each part amplifies the other parts” . Therefore, for Deleuze, the key to assemblage is that the warrior is a skilled user or connector in relation to horse and weapon (and we should assume that the horse and weapon are functional, and so forth), alternatively, it would be a mere collection of things rather than an assemblage . And yet – why not use the assemblage to explore possibilities? For example, thoughts, are usually mere collections, but, what if they are treated as assemblages? Art often presents methodologies of collection, to the extent of absurd, yet with the claim of assemblage – active insistence on meaning even though there might not be any. We can also think of an artwork and a viewer as an assemblage. Thus, this theory is attractive through the potential of tension between its realism and “idealism”: awareness of entanglement and the potential of relationships. Erkki Huhtamo, “Museums, Interactivity, and the Tasks of “Exhibition Anthropology,” in Museum Media, ed. Michelle Henning (West Sussex, UK: John Wiley & Sons, Ltd., 2015), 272. European Graduate School, “Manuel DeLanda. Assemblage Theory, Society, and Deleuze. 2011” (online video) accessed March 23, 2017, https://www.youtube.com/watch?v=J-I5e7ixw78.